The Great Lakes are the most magical bodies of water in North America (seriously, just take a look). The five lakes are the U.S.’s Third Coast, and if you grew up sandwiched between two corn- and cow-covered Midwestern states (like yours truly) you’d look forward to their beaches all year long. My childhood (and some adult) summers were spent on the shores of Lake Michigan, clamoring up Sleeping Bear Dunes just west of Traverse City, burying my feet in the sand at Mission Point Lighthouse, and cannonballing off the Petoskey Pierhead in the moonlight. And eating as many cherries as I could fit into my mouth. Or maybe that was fudge. Leelenau Penisula: Rustic, artsy, and covered in wineries—three things that can’t steer you wrong. Left: A perfect sunset on Leelenau Peninsula (image by @jmvanhof); right: visit the vineyards at Black Star Farms in Suttons Bay (image by @archerhardgoods). 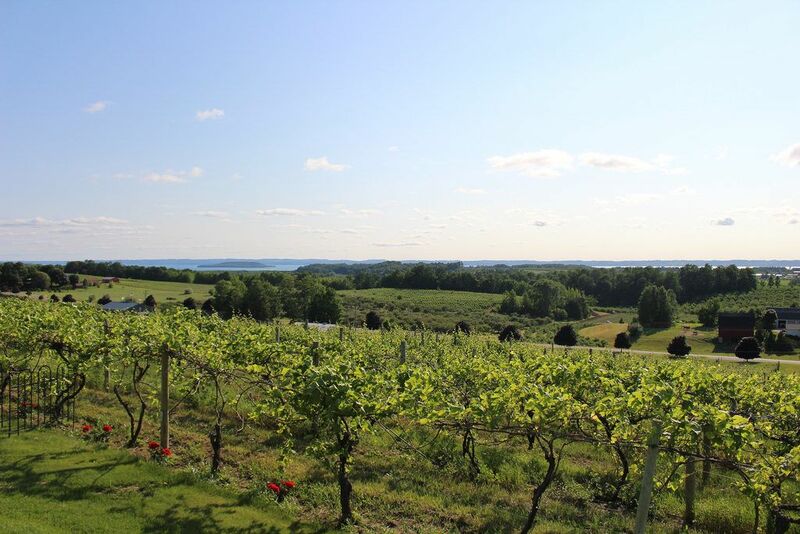 Wineries, farms, excellent camping, and some darn good spots for food dot the Leelenau Peninsula, a magnificent stretch of land to the northwest of Traverse City. On your drive up the peninsula, take lunch at 9 Bean Rows or North Country Grill and Pub in Suttons Bay. 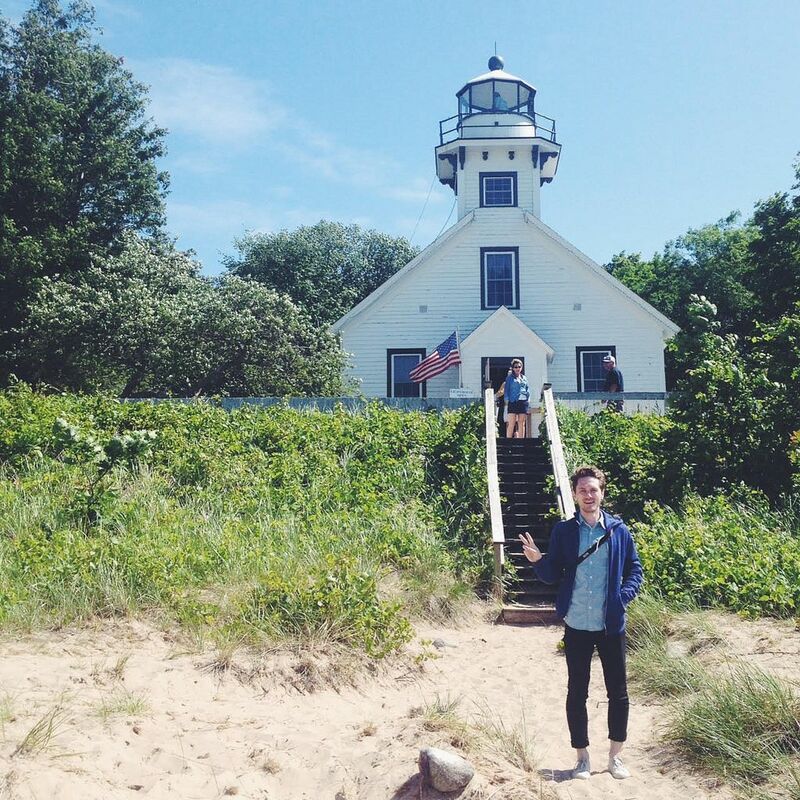 Northport and Leland are also adorable beach towns that will either a) beckon you to leave your phone at home to forget about internet things or b) encourage many jealousy-inducing Instagram photos. (And if you are planning a hike out on the Manitou Islands, the ferry conveniently leaves from Leland.) 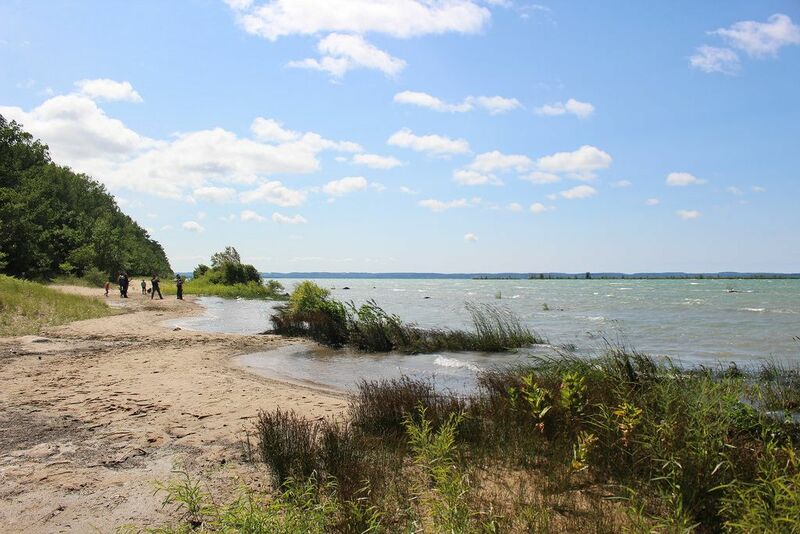 If you are into backpacking, the camping is cheap and rustic in Leelanau State Park. 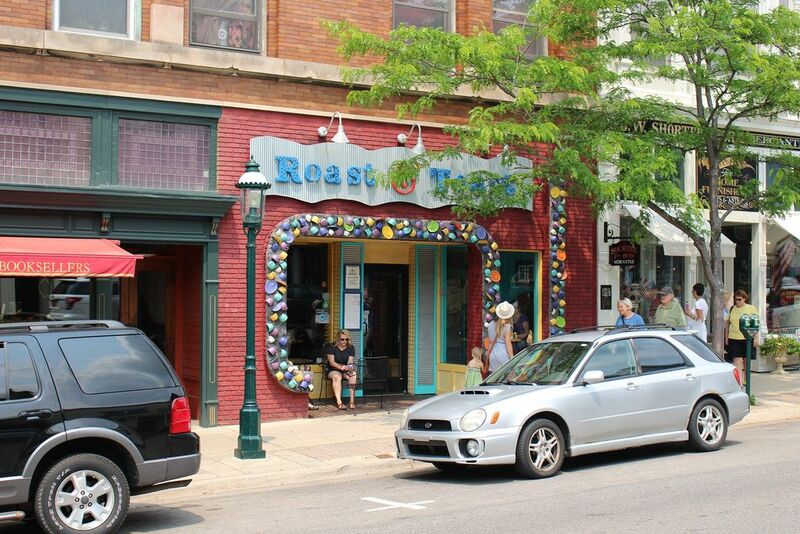 Traverse City: A cherry-covered, lakeside city with a taste of everything. My first piece of advice: Don’t listen to what other articles tell you—skip the National Cherry Festival in July (unless crowds are something you like to be lost in) and go a little earlier in June or later in August. Do eat as much cherry pie from Grand Traverse Pie Company when you go: You are in cherry mecca. 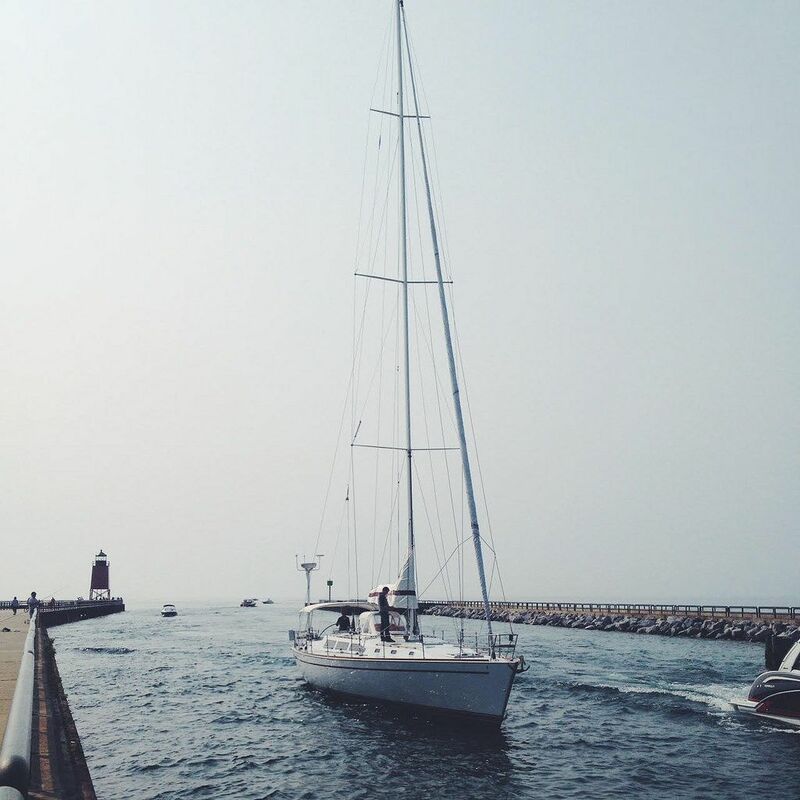 Take an afternoon swim in Lake Michigan at any one of the public beaches, take a Tall Ship tour of the bay, or go parasailing. For dinner, stop by The Cook’s House for something upscale or drop into The Little Fleet for your choice of food truck fare, from tacos to ribs. 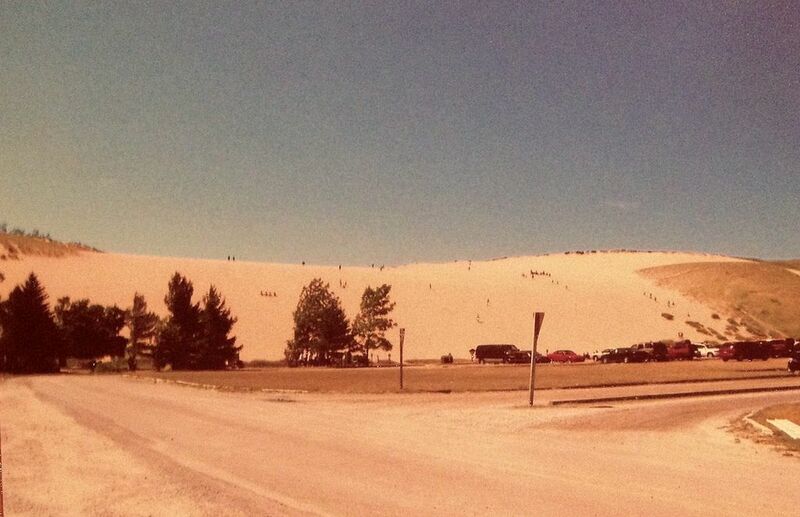 Left: A photo of the Dune Climb at Sleeping Bear Dunes (taken, ahem, many moons ago by this author); right: A view toward Glen Lake from the second hill on Sleeping Bear Dunes (also from years past). 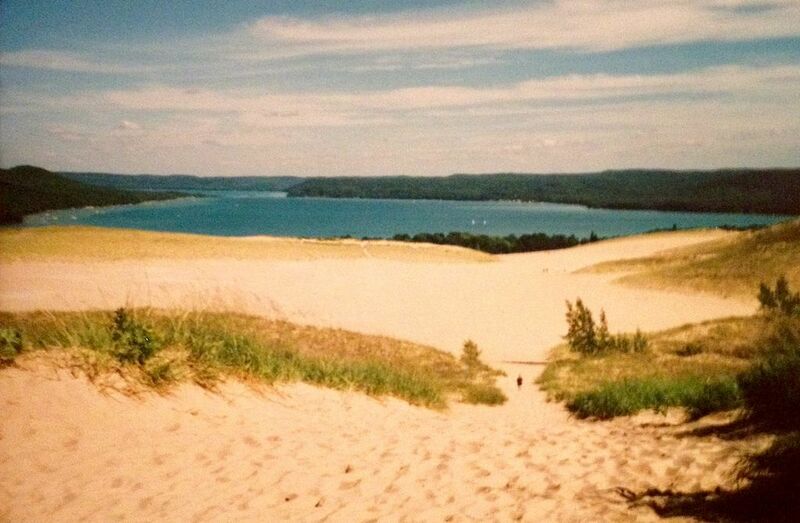 If you are itching for the outdoors: Tour out to Sleeping Bear Dunes, where you’ll have to stomp up a practically vertical 150 feet on the Dune Climb. 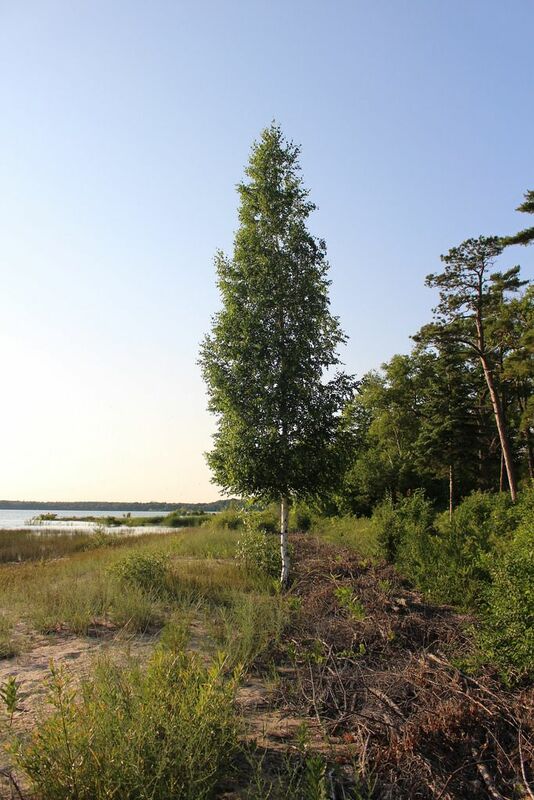 The hike is only about a mile and a half to Lake Michigan after you are up on top, but book a few hours—and pack sunscreen and snacks—for the trip there and back since you’ll be trekking on sand (the cold water is a sweet reward for tired, hot tootsies). Left: The author's husband at Mission Point Lighthouse; right: a view of Lake Michigan from the lighthouse beach. Old Mission Peninsula, which splits Grand Traverse Bay in half, is an easy half- to full-day trip. Covered in vineyards, cherry orchards, beaches, and gorgeous views of both sides of the bay, it’s easily poised to be one of your favorite stops. Drive all the way out to Mission Point Lighthouse and bring a picnic—and make sure to take a picture, because you'll be standing on the 45th Parallel, halfway between the North Pole and the Equator. 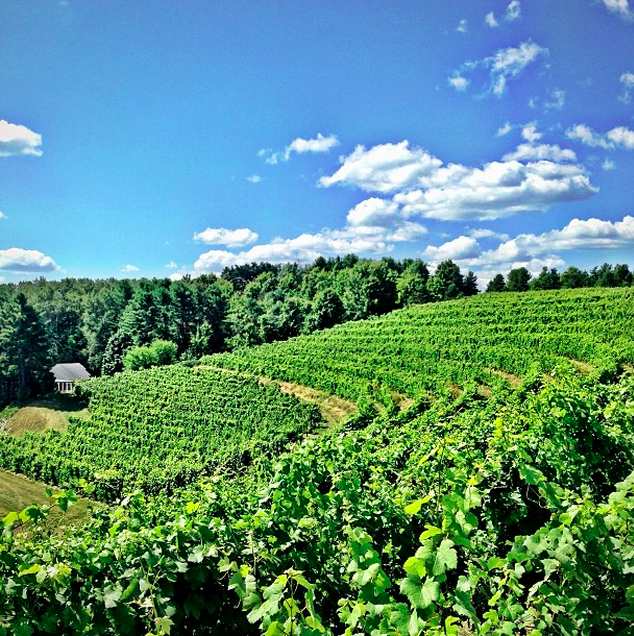 On the way back, stop off at a vineyard or two (like 2 Lads or Black Star Farms Old Mission) and enjoy Riesling or Cabernet Franc. Don’t leave the peninsula without have dinner at the Bowers Harbor Inn Estate, whether it’s at the fancier Mission Table or the more casual Jolly Pumpkin Restaurant (yes, it’s connected to the brewery!). If it’s nice out, which it most likely will be, try to get a seat on the patio. Head back toward Traverse City, loop around the bay, and take Highway 31 further north—and yes, you should stop at those fruit/produce stands along the way. Cherries, again. All the cherries. Charlevoix: Mushroom houses and sailboats. Also, good crepes and delicious whitefish. Left: The piers at Charlevoix; Right: an Earl Young-designed "mushroom house." 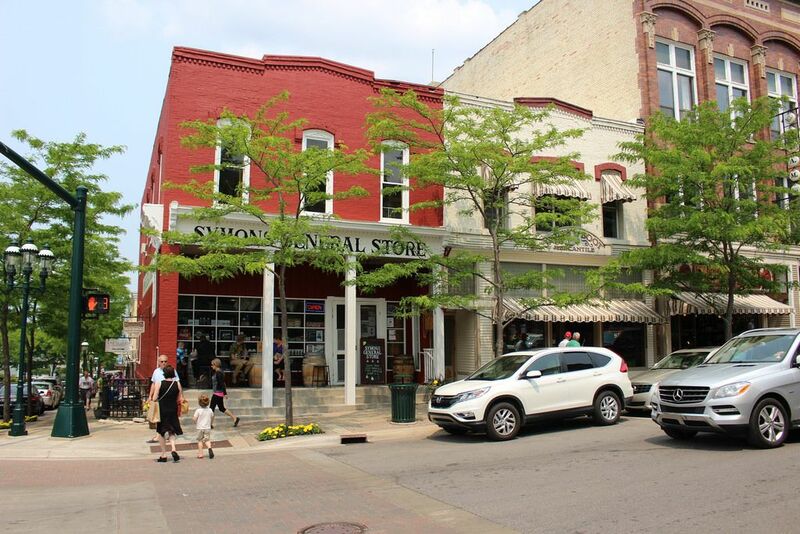 This sweet town in between Petoskey and Traverse City is worth at least a few hours of your time—especially if you are interested in delicious lakefish and mid-century architecture. 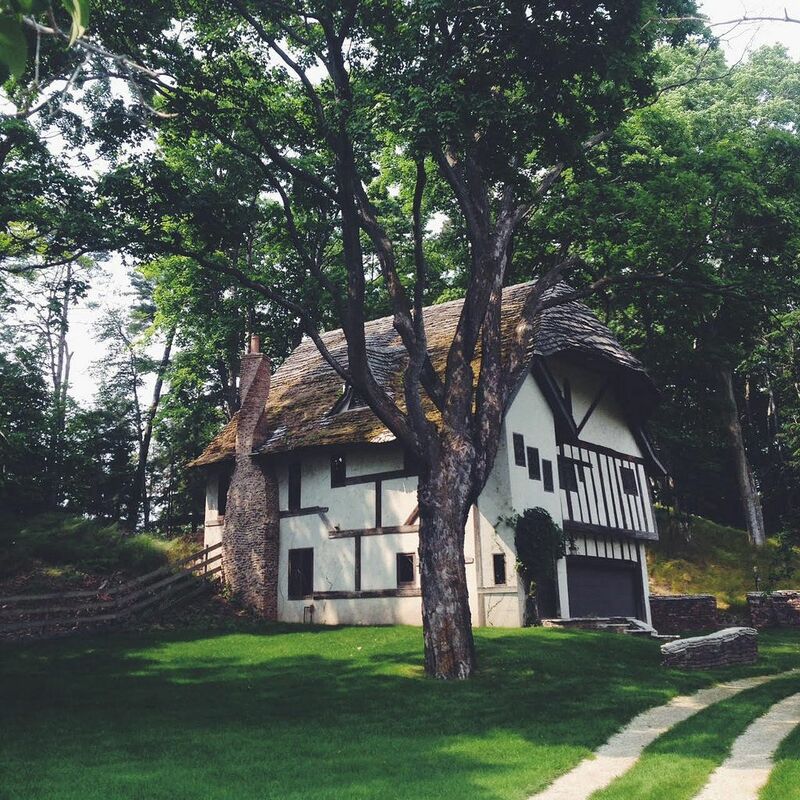 Folk artist/untrained architect Earl Young designed and built over 30 structures in Charlevoix, many of which are easily viewed on walks through the town's lakeside neighborhoods. They’re all a bit off-kilter, in the best way, and made with large boulders and surprising angles. As you crane your neck to understand their geometry, it's easy to imagine curling up with a book and a glass of wine in one of their nooks. 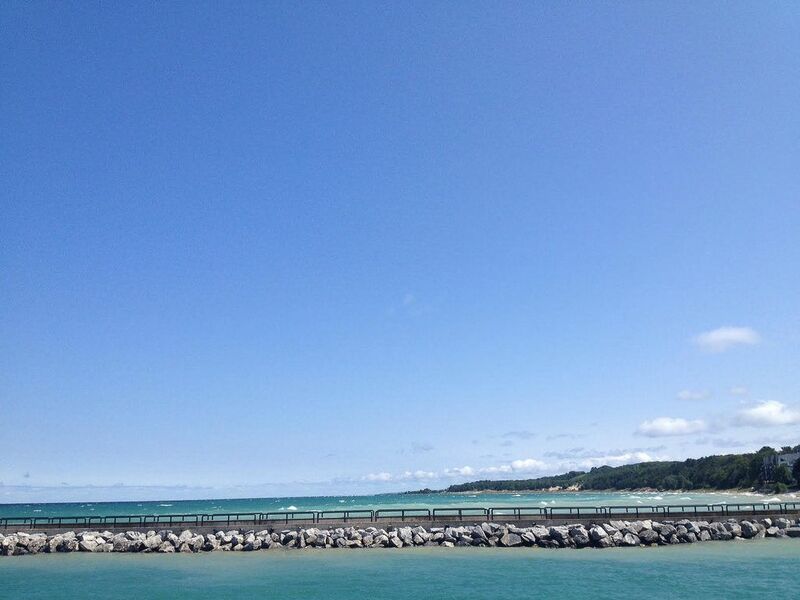 The beach and piers at Charlevoix. Mornings call for a walk around the marina, as sailers ready their boats for the day. Grab a lemon-and-sugar crêpe and coffee from That French Place right on Charlevoix’s main stretch, and an afternoon pick-me-up is available in taffy form from The Taffy Barrel or as fudge or ice cream from the iconic Kilwin’s or Celeste Murdick’s. (If a beverage is in order, try the Bridge Street Tap Room—their tap list is all Michigan beers.) The Weathervane Inn (a Young structure) and Grey Gables both serve up several dishes featuring local freshwater fish like trout, perch, or walleye. 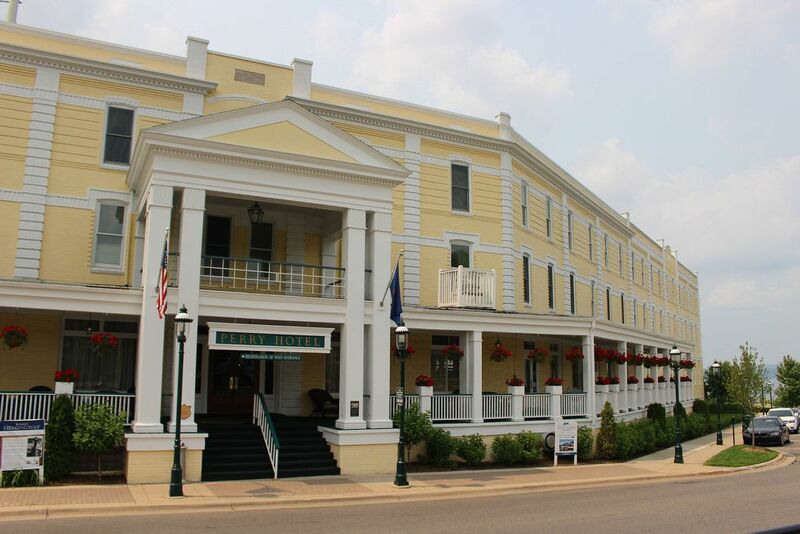 You're able to stay at both of these inns as well, but there are also loads of options for vacation rentals, too. 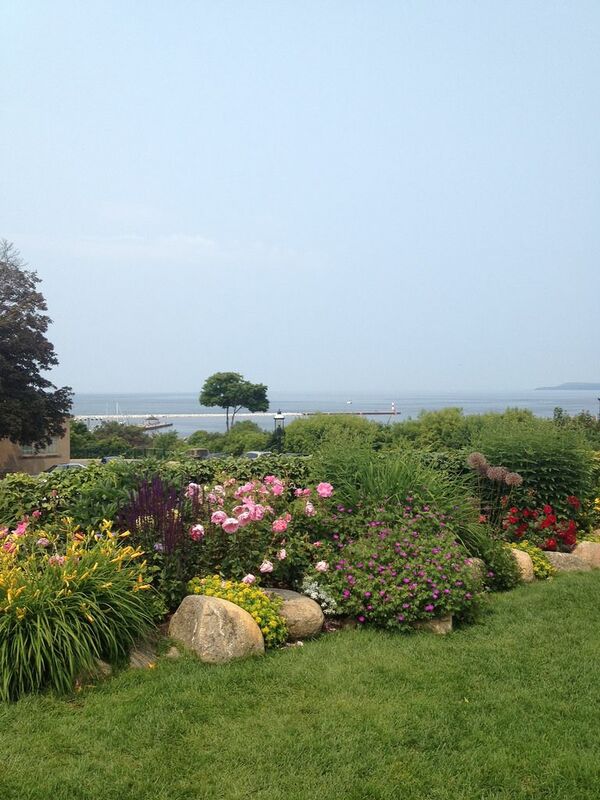 Petoskey: Arguably Hemingway’s favorite Michigan city. And one of mine too. Top left: The Petoskey marina; Top right: The eccentric facade of Roast and Toast Cafe; Bottom left and right: Symon's General Store in downtown Petoskey. Ernest Hemingway spent a good deal of time in Petoskey, as well as other small Michigan towns, and we agree on most places for eating (and drinking, of course). Roast and Toast has egg wraps that will perfectly accompany any kind of morning talk. 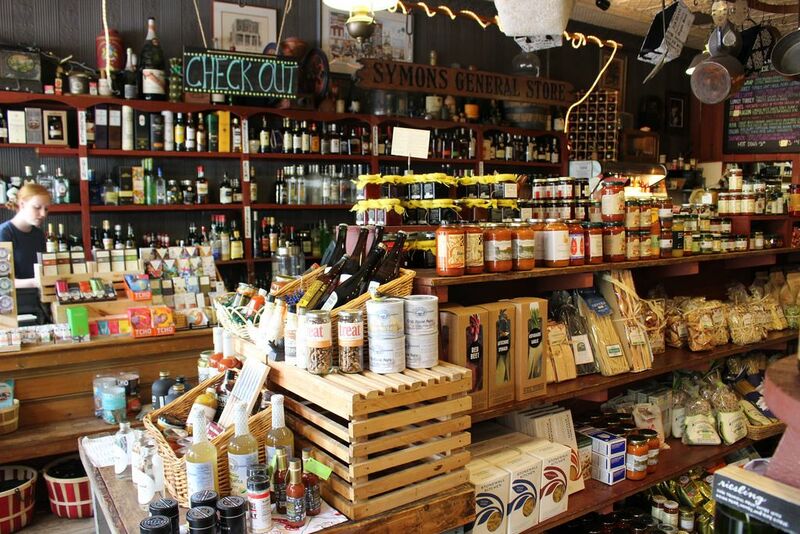 Grain Train Co-op and Symon's General Store have all the provisions you need for your rental kitchen, picnic, or sweet tooth (so many gummys, so little time). Get dressed up for Chandler’s (and finish dinner with their crème brûlée), keep it simple with Jesperson’s, or take in a sunset and a cocktail at The Perry Hotel’s Rose Garden Veranda (the Noggin Room is right downstairs for those who want to drink more than their fair share of Michigan-made beer). Left: The Perry Hotel's bright yellow facade; right: the view from the Rose Garden Veranda. If you are looking to bring back a memento, don’t forget to search around for Petoskey stones; they’re fossil-laden beauties that are all over the Little Traverse Bay. If you're looking for something a little less nature-y, Lake Affect has gorgeous Detroit-made Shinola leather goods, from bags to watches and notebooks. 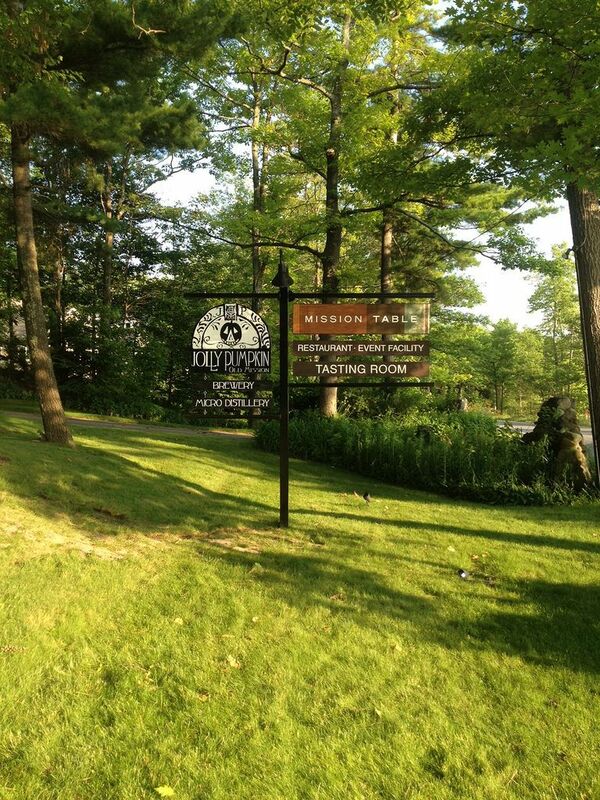 Harbor Springs and Cross Village: The high-brow, the low-brow—no need to choose. 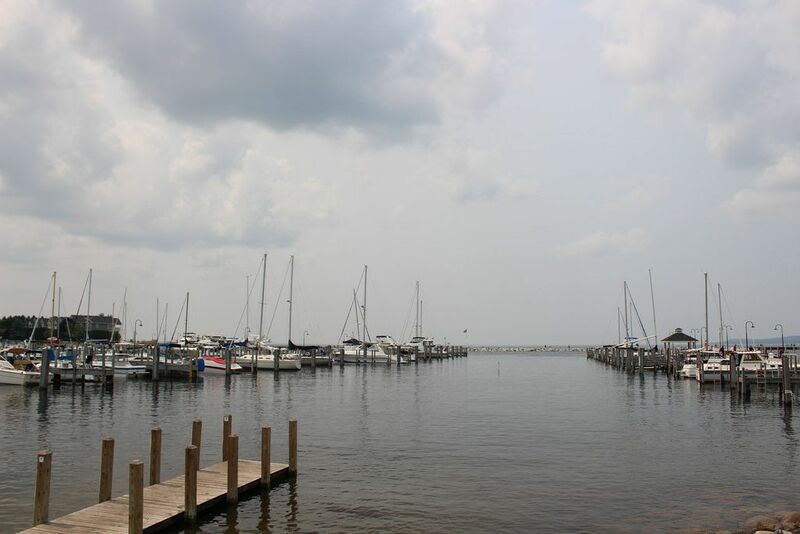 Once you reach Harbor Springs, across the bay from Petoskey, you’ll want to walk around downtown and onto the marina docks, and if you need a bit of sustenance for the day, stop by the deli at at Gurney's (build your own sandwich with all the fixin's). As you head on toward Cross Village, there should be no other way to travel than M-119—this takes you through the "Tunnel of Trees," an at-least-20-mile-long stretch right next to a rocky, high bluff overlooking Lake Michigan. 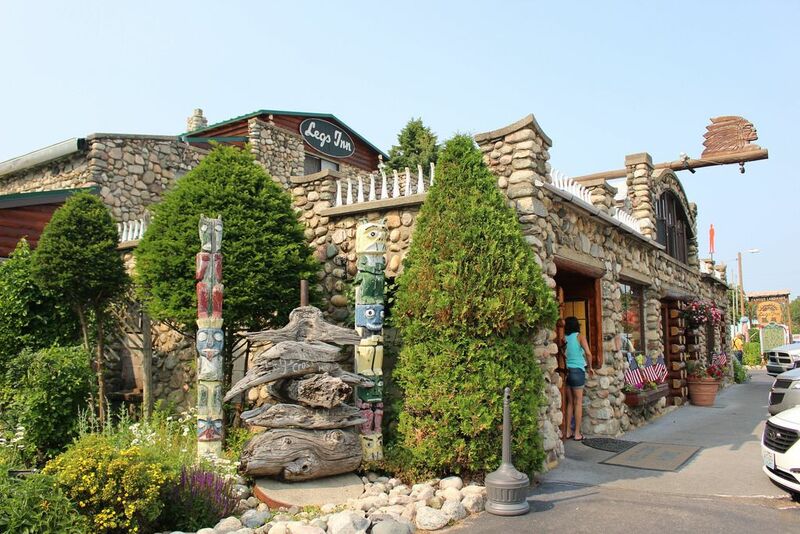 The end of the tunnel brings you to the doorstep of Legg’s Inn, a Polish restaurant with outdoor dining and a huge backyard that looks onto the lake. (It's got a cabin noir/Twin Peaks vibe—I swore the interiors could have been used as a stand-in for The Great Northern Hotel.) 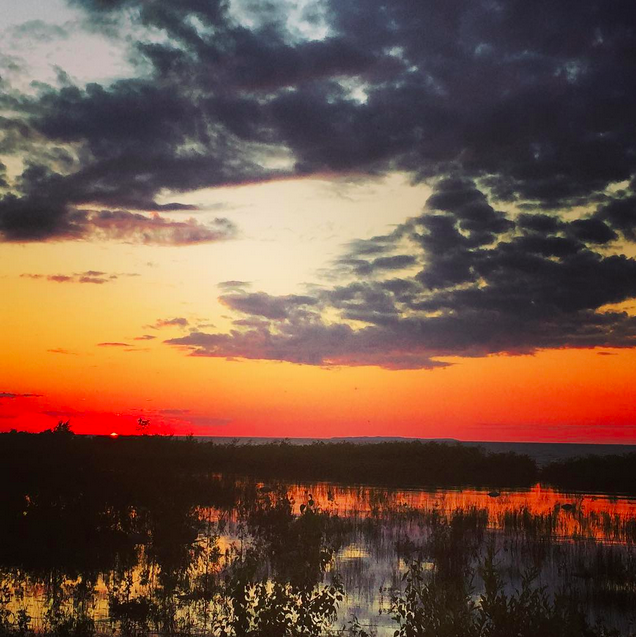 If you can swing it, go on a Sunday evening and take in the inevitably awe-inducing sunset, and stay for the Jelly Roll Blues Band—and be ready to keep going until 2 A.M.—while most likely sharing the dance floor with a 75-year-old who can move better than you. If you have time, take N. Lake Shore Drive and you’ll eventually arrive at Sturgeon Bay, often cited by the Michiganders in my life as their favorite beach—beautiful, secluded, and with the best swimming. It's a perfect place to begin or end any trip (first time or not) to the Mitten. Photos by writer unless otherwise indicated. You don't want to miss Bellaire, MI either! Shorts brewery has a fantastic selection of strong and uniquely flavored beer. Elk Rapids has the excellent Cajun restaurant called Pearls. Allen Mill House in Alden is definitely worth checking out as well. 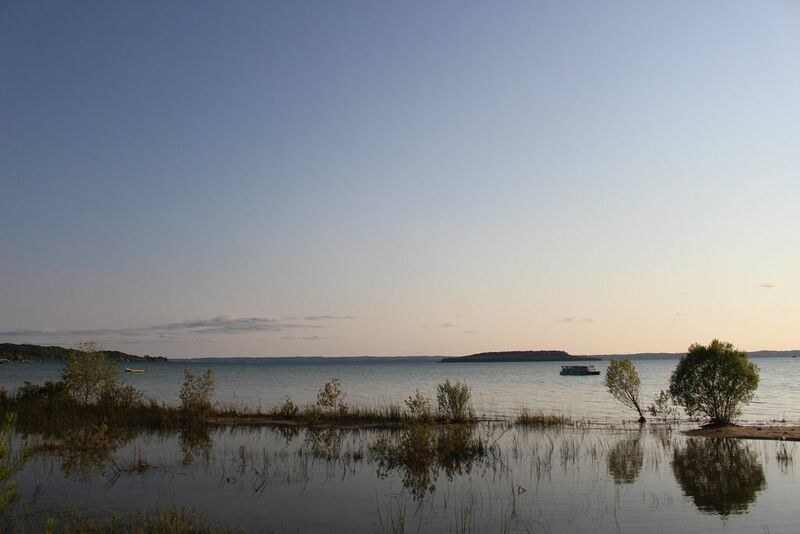 Plus it's on Torch lake, which is one of the most beautiful inland lakes in MI. Just back from 3 days in Northern Michigan, I open my computer to find this! Wish I had seen it before, but tickled by the synchronicity -- we hit a lot of these spots. Stopping by The Cook's House is a great idea, but better to reserve about a month in advance, which is what they are booking now. One happy discovery in Grand Traverse was Chez Perez, for beautiful French pasrties and rich, over the top delicious breakfasts. Frankfort, about a half hour south of TVC sits nestled upon Betsie Bay where sailboats make their way from Lake Michigan. You'll find galleries, boutiques, a fine Michigan brewpub (Stormcloud), lovely wine bar/small plate place called Cru Cellars, the Coho Cafe, a bakery (Crescent) that makes some of the best bread and pastries in the state. Two miles away you'll find one of the prettiest inland lakes in the state. Crystal Lake, two miles wide and five miles long deservedly owns that description as you can float in the water and see right down to the sandy bottom. Have lunch at the Crystal View, gaze oved a vista of the lake and surroundings as you wonder why you have'nt visited before. Eric, you sound like a fellow CSA-er? We used to visit with friends at their charming old house on Lake Leelenaw. Being from SW Michigan originally I am still drawn to the Great Lakes and lakeside living. Great article. I need to take a road trip ASAP! Three cheers for northern Michigan! We have so many wind-swept family photos on top of Sleeping Bear Dunes. And Petoskey stones still feel like the most valuable treasure in the world to me.